Camp for €16,- a night at Campsite Lago di Piediluco in low season with CampingCard ACSI. Campsite Lago di Piediluco, located in Piediluco (Terni), is a campsite with 150 touring pitches and 42 year round pitches. With your CampingCard ACSI you can camp on one of the pitches during the following periods: 01-04-2019 - 07-07-2019 and 26-08-2019 - 30-09-2019. At this campsite you can not only use your CampingCard ACSI for inexpensive camping, you can also use your ACSI Club ID (as an alternative ID). This campsite has everything you need for a successful holiday. Located on the shores of Lake Piediluco. Quiet pitches among greenery. Extensive sports facilities including an Olympic size swimming pool. An ideal location for visiting Rome and Assisi. Fairly good, basic site in attractive surroundings close to Lake Piediluco. Short walk to village centre with small ‘Alimentari’. Like many such sites, there are a number of untidy statics. Touring pitches are on level grass, most with little or no shade, with some having distant views of lake. Note that pitches are unmarked, & you may find some neighbours parking a little close for comfort. Sanitary facilities are old but clean & plentiful (be aware no hot water to basins & mostly only ‘turks’ for WC‘s!). Friendly & helpful staff; free wi-fi at reception. 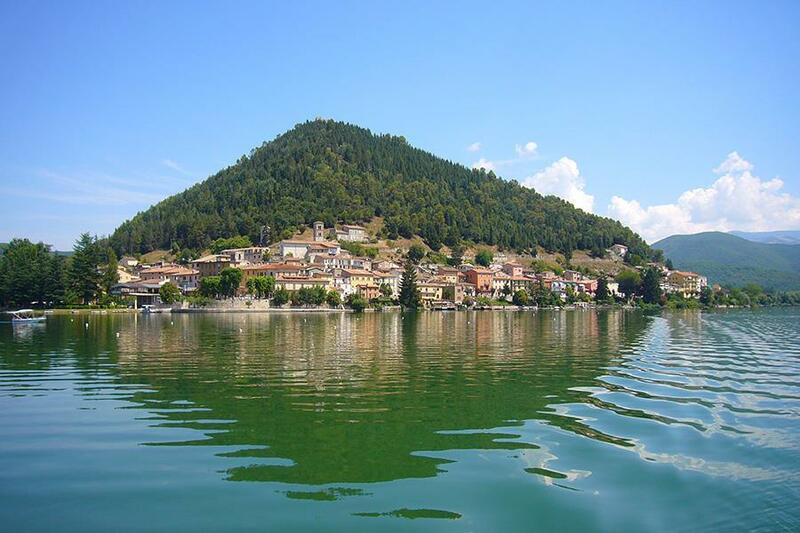 Would you like to book Campsite Lago di Piediluco or request more information? You can do both using the information below. A1 exit Orte direction Terni. Exit Terni Est, follow dir. Rieti. After 2 tunnels exit Marmore. In Marmore dir. Piediluco. In Piediluco follow ('piscina') signs. CampingCard ACSI will send your information request to "Campsite Lago di Piediluco".